A brain-damaged woman is to be allowed to die despite sometimes still smiling at hospital staff, a judge has ruled. 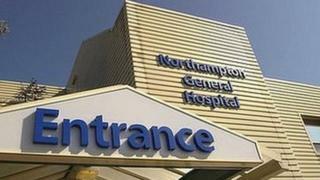 The patient, in her 50s, was injured in 2008 and has received life-support treatment at Northampton General Hospital for a decade. Her family and treating doctors all thought that the woman, who also has a number of physical difficulties, should be allowed to die. The judge said she was satisfied with the evidence provided by doctors. She approved a plan to implement a palliative care regime. The case was considered at the Court of Protection in London, which rules on behalf of people who do not have the mental capacity to make decisions for themselves. Bridget Dolan QC, representing Northampton General Hospital NHS Trust, said the woman enjoyed listening to music, was at times "alert and awake" and "lucid", and sometimes smiled at care staff. Mrs Justice Gwynneth Knowles said the woman had diabetes, depression, communication difficulties and required help with every aspect of her personal care, while doctors said her health would deteriorate. Lawyers acting for the patient's sister said treatment and feeding by artificial means should end. Mrs Justice Knowles said the patient had worked as a carer for disabled people and had said she would "never want to be like that". The judge said she had "considered anxiously" whether there was a factor that might "tip the balance" in favour of prolonging the patient's life, but she was satisfied that the plan agreed by the family and medical staff was right.